AECOM aims to deliver aviation platform-level logistics support and related services to the U.S. Navy through the firm's position on a potential 10-year, $12.6B contract announced in January. The company said Thursday it will compete for task orders to help the service branch maintain and modify multiple aerial vehicles, weapons and integrally related systems under the Contracted Maintenance, Modification, Aircrew and Related Services contract. 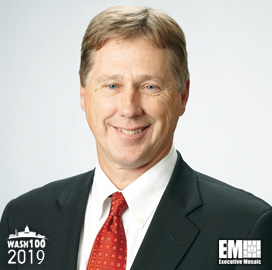 "We welcome the opportunity to significantly expand our naval aviation support role,” said John Vollmer, president of AECOM's management services group and a 2019 Wash100 winner. “We also look forward to continuing our partnership with the U.S. Navy to ensure aircraft readiness for missions worldwide," Vollmer added. Nineteen companies were selected to participate in the CMMARS program.